If all that sightseeing has given you an appetite, our optional street food excursion will be just perfect. We'll hop on rickshaws and work our way around Old Delhi's historic and atmospheric streets, stopping to try the vegetarian specialities unique to this region. Chat with the vendors as you try chole bathure (chickpeas served with a fried bread), dahi bhalla (fried flour balls in yoghurt) and aloo chat (spicy potatoes). Also on the menu will be paratha flatbread and the spiced yoghurt drink, lassi. If you have a sweet tooth, try jalebi - pretzel-shaped deep-fried batter soaked in sugar syrup - and the local version of bread and butter pudding. There is so much to try, and if you're craving meat, don't worry, we'll make our way to a stall offering fried chicken. Next we'll immerse ourselves in the largest spice market in Asia, Khari Baoli, which is actually an entire street. It's fascinating to watch as huge sacks of multi-coloured spices are traded, and the intoxicating aroma is out of this world. 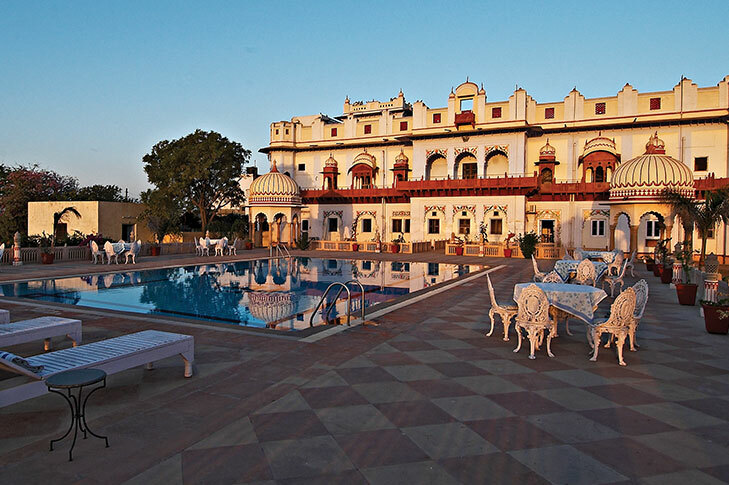 You've a day of discovery ahead of you, with your first highlight the marvellous Amber Fort. This 17th century stronghold commands a hilltop setting high above the surrounding valley. Step inside to see the Temple of Kali, the Palace of Mirrors and the Hall of Pleasures. 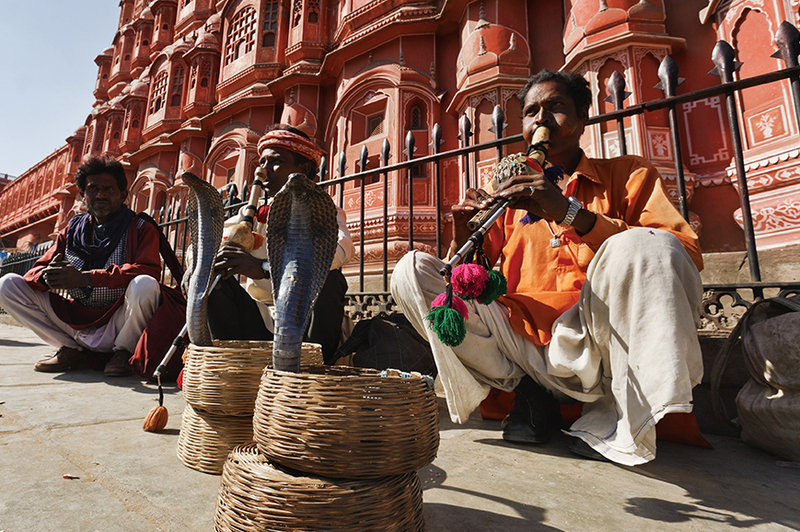 In the afternoon, you'll get to know the 'Pink City' of Jaipur, where all the buildings were painted pink by maharaja's decree. 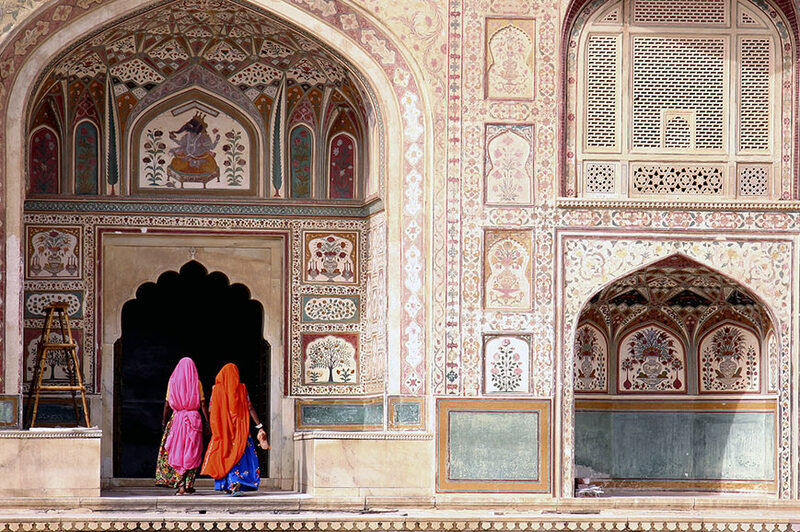 Together we'll explore the commanding City Palace and discover Mughal treasures in its museum. We'll also see the elaborate façade of the Palace of the Winds. From its 953 intricately decorated small windows, the ladies of the court could gaze upon the outside world unseen. Bharatpur is our next base, and on the way here we're going to take in the exceptional sight of Abhaneri's stepwell, an ancient water storage system. 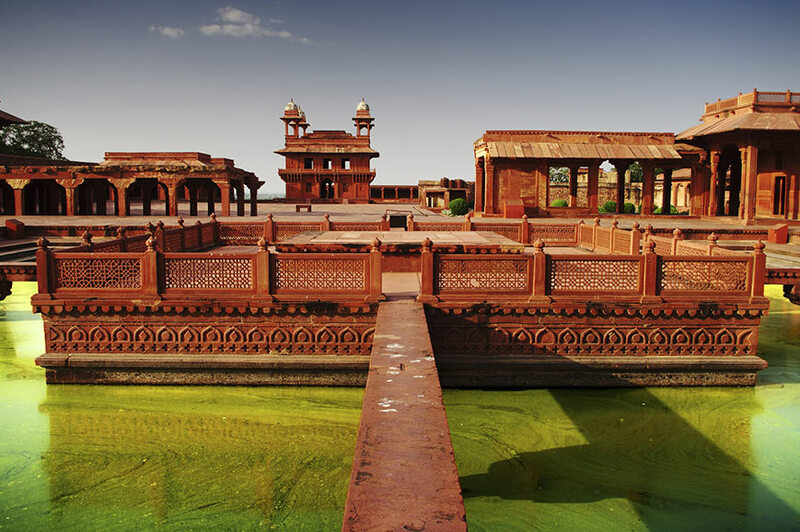 This morning we're going to journey by road to Agra, visiting the deserted city of Fatehpur Sikri en route. Built by an emperor in 1569 to celebrate the birth of his son, you can stroll through its pink and red sandstone pavilions and palaces. 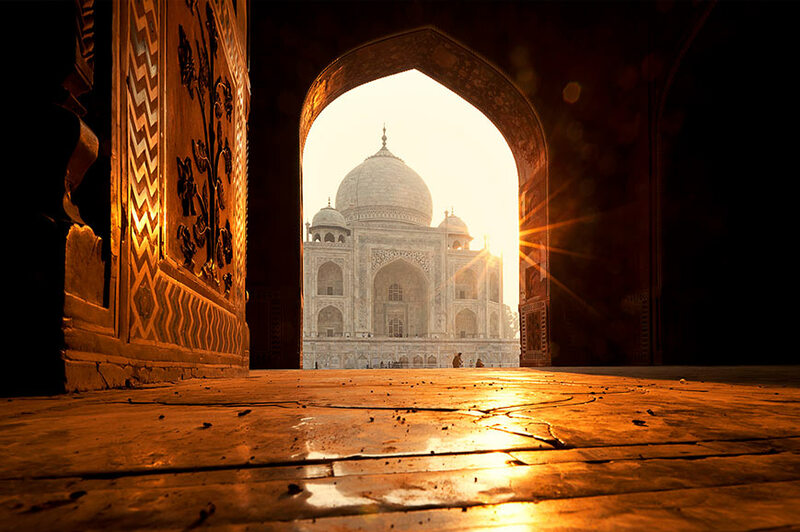 Today is the day that you'll see the Taj Mahal, on a dawn visit. 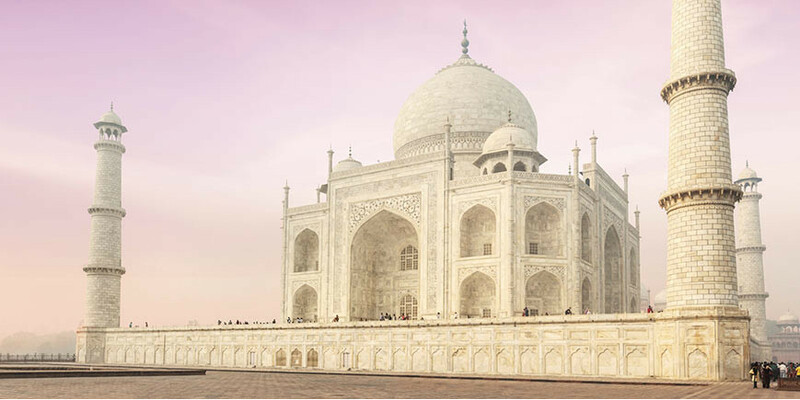 The early start is well worth it as you view this magnificent mausoleum that was built by Shah Jahan as a memorial to his beloved wife, Mumtaz. The exterior is decorated with many different precious and semi-precious stones, and it appears to change colour as the sun shines upon it. This building, which took 20,000 men more than 20 years to build, and sits in a vast complex, is an undeniably extravagant expression of love. We're also going to see the Taj Mahal from another perspective later, as we head to Mehtab Bagh. 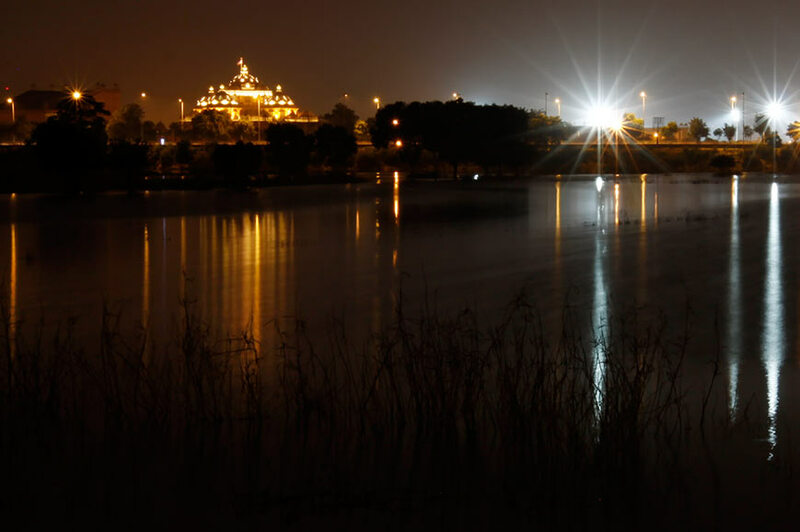 This centuries-old garden complex sits on the other side of the Yamuna River and is exactly aligned with this iconic masterpiece, offering equally spectacular views. 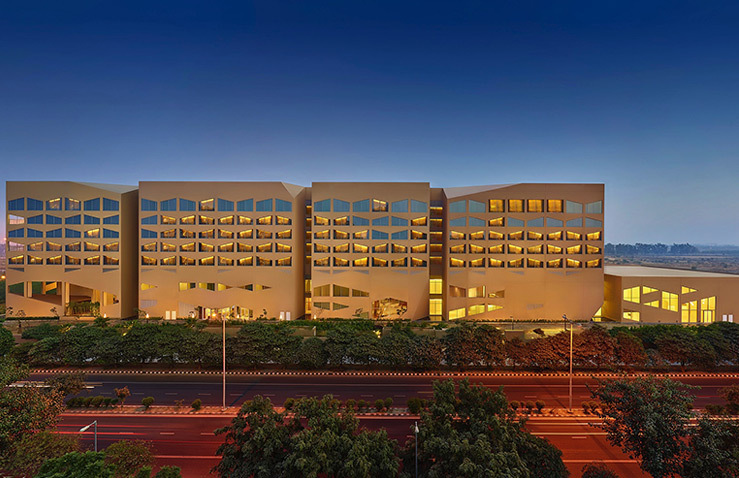 Vivanta by Taj Dwarka is a newly built hotel in Delhi. 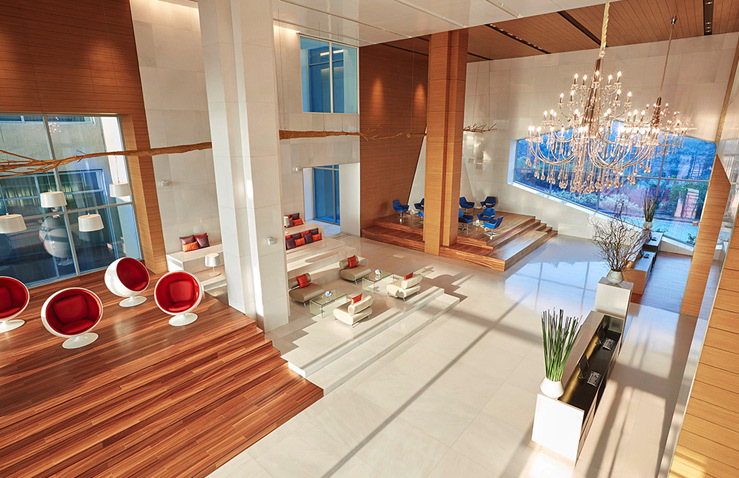 It is modern in style and features amenities such as a spa, steam room, whirlpool and outdoor swimming pool. Hotel also has 5 restaurants/bars. 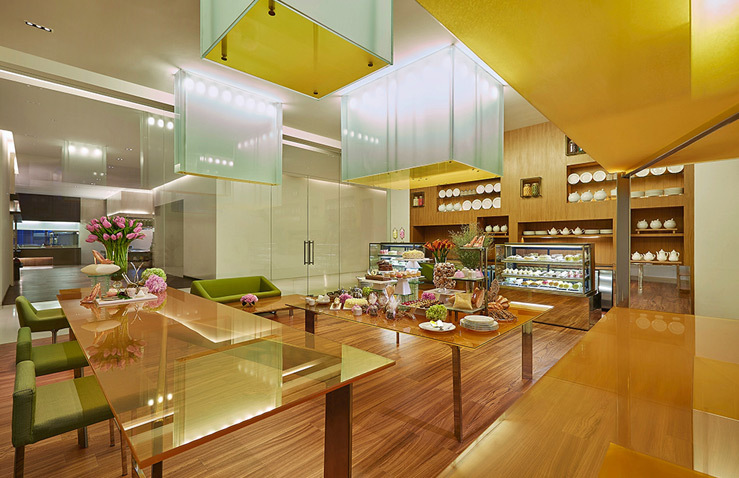 Rooms feature tea and coffee-making facilities and large TVs. 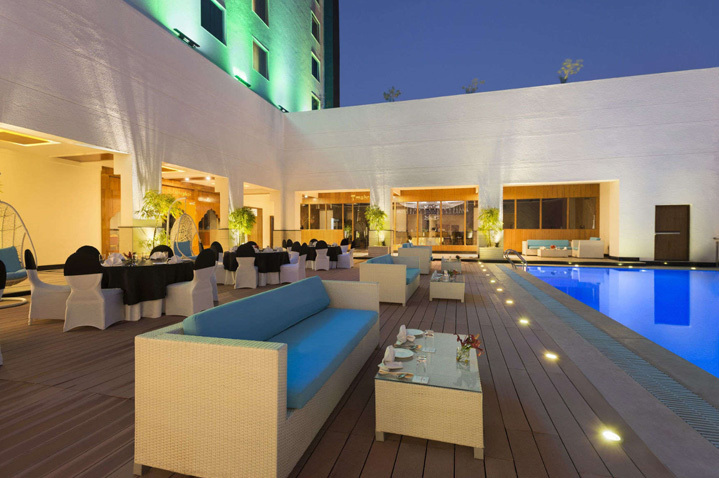 Guests will really enjoy their stay here, as this hotel has an excellent range of facilities and services on offer. 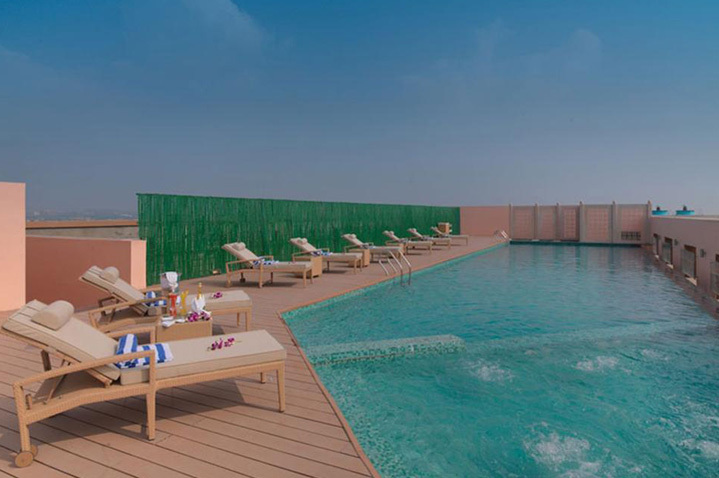 This contemporary accommodation boasts a fitness centre as well as a wonderful rooftop pool. 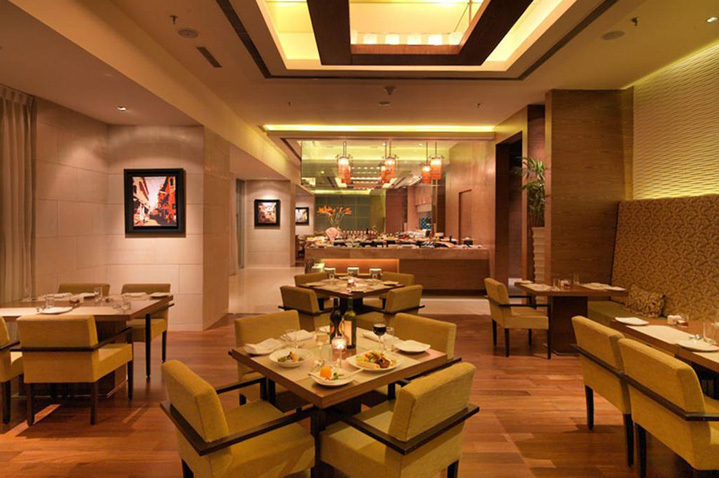 There are three in-house dining options, with one which offers a global menu available all day. 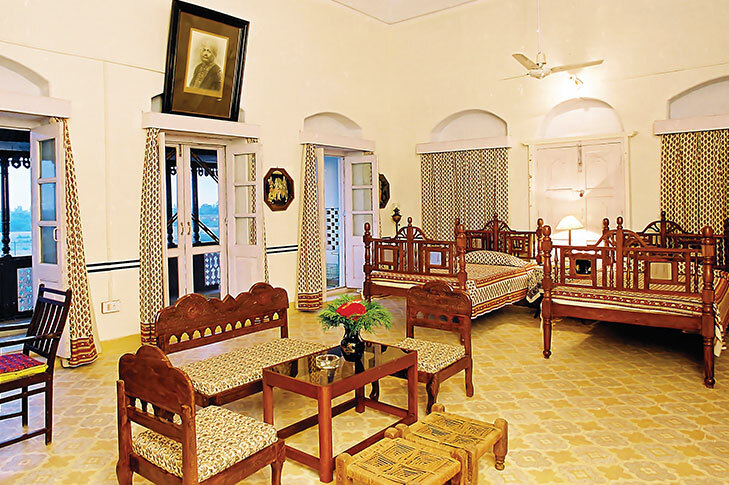 The rooms come furnished with a flat screen TV, coffee/tea making facilities and a minibar. 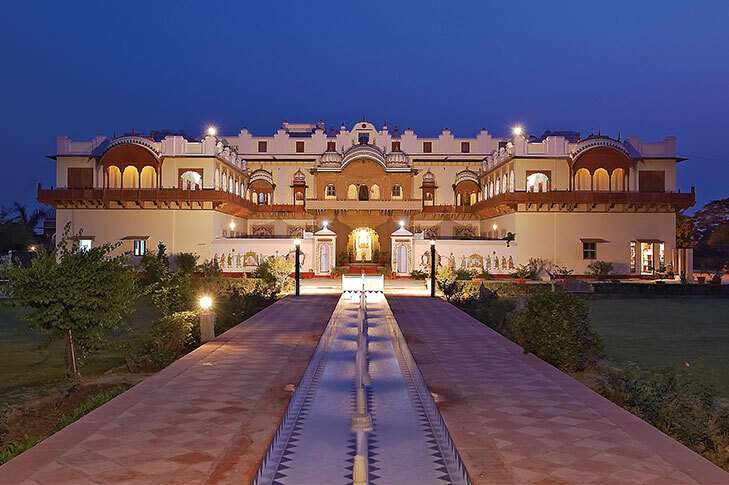 Located on the outskirts of Bharatpur, this premium hotel is surrounded by peaceful countryside. Facilities include a restaurant serving local dishes and international cuisine using produce grown at the hotel’s own organic farm, a comfortable bar, outdoor dining area, spa, exquisite gardens, swimming pool and souvenir shop. 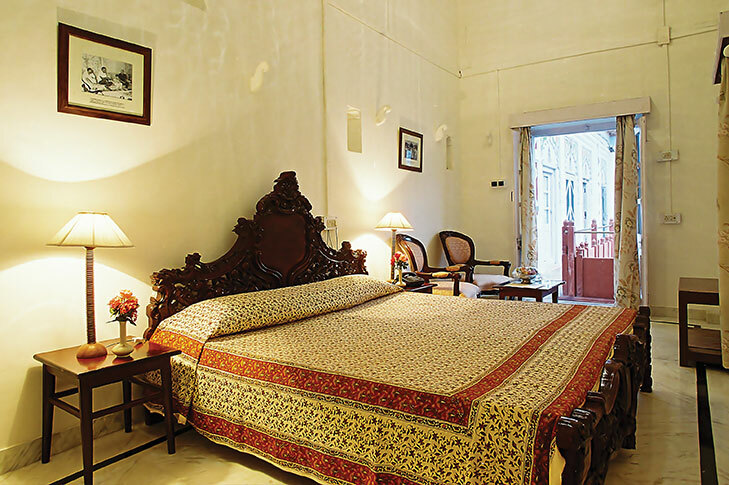 Elegant guest rooms are tastefully decorated and feature antique furniture, en-suite facilities, air conditioning, cable TV, telephone, safe, tea/coffee-making facilities and a balcony. 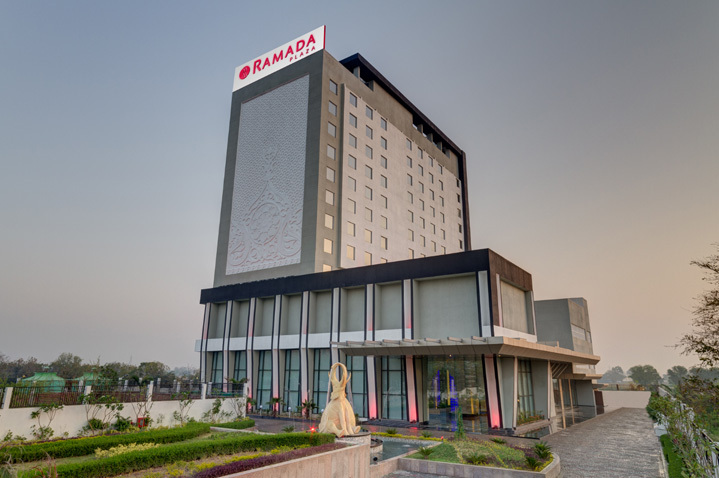 The Ramada Plaza Agra is a contemporarily styled property that also offers a great location – being less than 4 miles from the Taj Mahal. 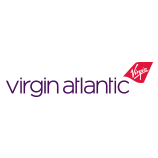 The fantastic facilities and services on offer will also ensure guests have a great stay. There is an outdoor pool, fitness centre as well as a shared lounge area. 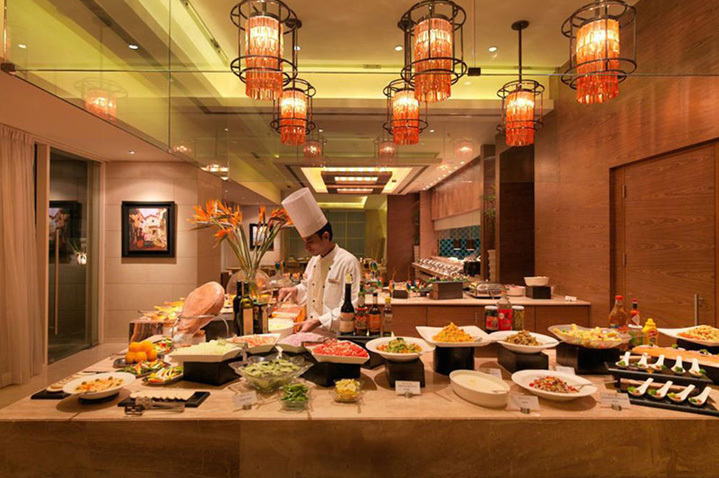 Guests can dine at the in-house restaurant and grab a drink at the bar. Rooms are fitted with a flat screen TV, kettle, and minibar. 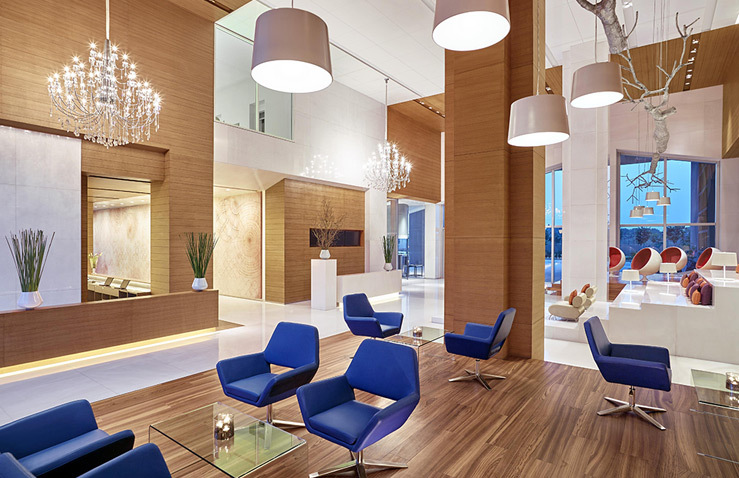 The hotel also offers free Wi-Fi and complementary toiletries. Enjoy an evening interacting with local artists and families in their homes, you will be made to feel welcome as you are shown around their houses and explore their family history. You will also have the opportunity to get involved as a chef demonstrates how to make curries, chapatis and local desserts. After the cooking demonstrations dinner will be served for you to sample the delights you have made. 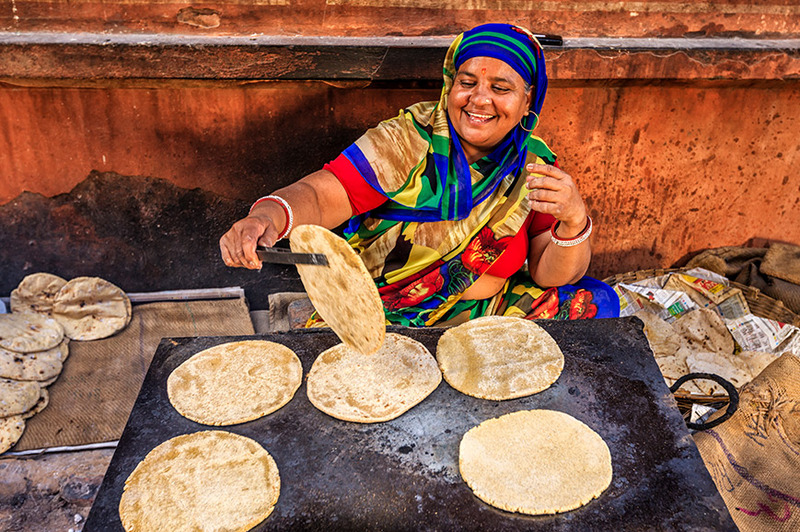 Each region of India has its unique street food and Delhi is no exception. 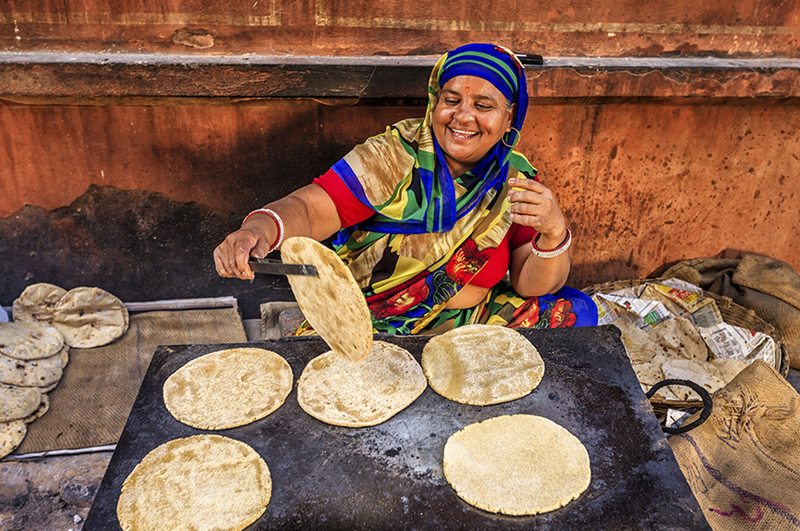 Visiting some of Old Delhi's favourite vendors you'll try a range of local specialties. 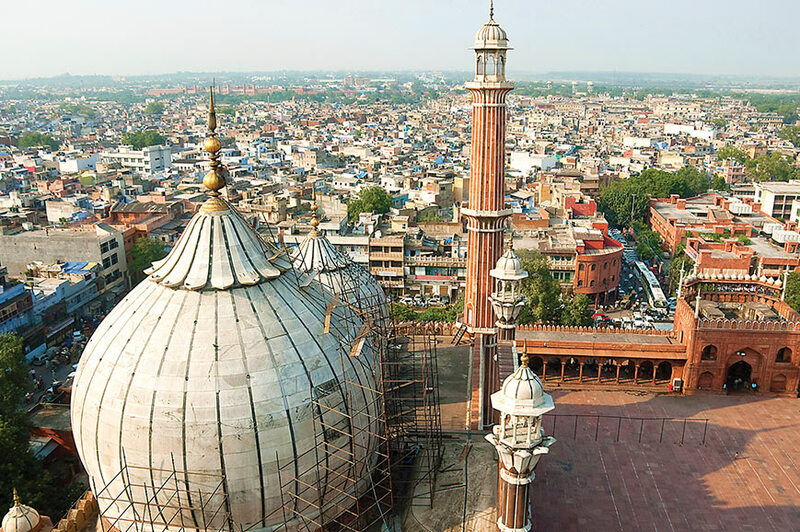 In addition to sampling some delicious street food, you will also learn about Delhi's historic “Walled city”. Absorbing the hustle and bustle of the narrow streets as we visit different locations by rikshaw. 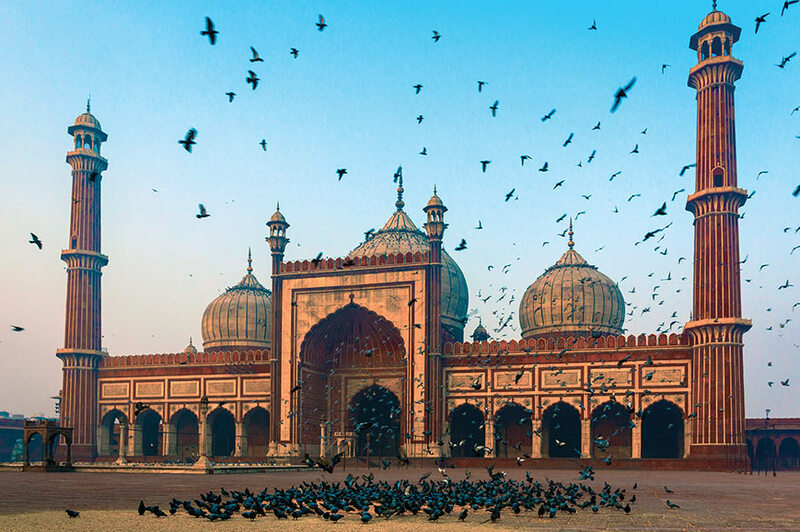 After exploring the largest spice market in Asia, you'll also have the chance to see the impressive Jama Masjid. Extend your holiday with a stay in Shimla, in the foothill of the Himalayas. Your journey will be made by train giving you the chance to enjoy spectacular views. A city tour of Shimla is included and a visit to Chandigarh to see the famous rock garden. 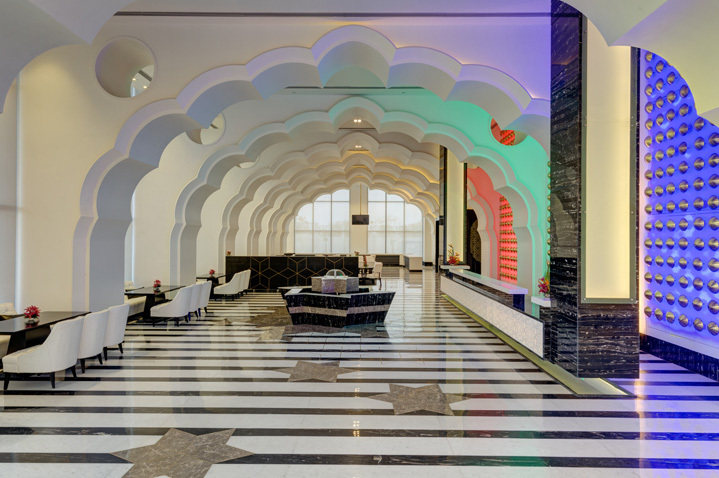 You will stay in hotels such as the 4-star Clarkes Hotel in Shimla , and the 5-star Vivanta by Taj Dwarka in New Delhi, Delhi. Early morning transfer to New Delhi Railway Station to board the Shatabdi Express for Kalka, where you change to the narrow gauge train to Shimla. 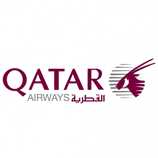 On arrival, transfer to your hotel where three nights' accommodation has been reserved for you on a half board basis. Lunch is also included today. After breakfast there will be an included morning tour of Shimla visiting the Mall and the Vice Regal Lodge. Shimla, situated in northern India is known for its impressive architecture dating back from the colonial era. The remainder of the day is at leisure. Today is free for you to relax and explore at your leisure. Shimla has some of the most beautiful sights including those found at the Tara Devi Temple. Alternatively you may wish to join our optional walking tour to explore the rural life of the Himalayas. 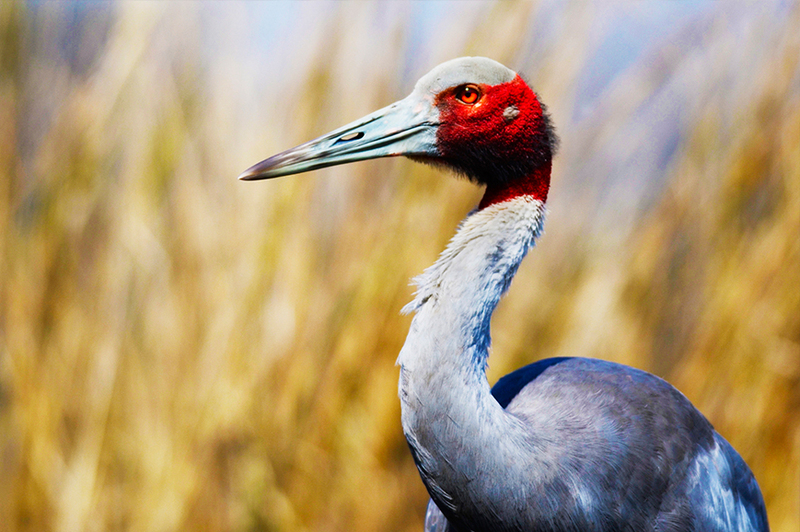 Walk around the Shimla wildlife sanctuary and later explore the village market. Continue to Jakhoo Hill where a visit will be made to the Lord Hanuman Temple. This morning travel to Chandigarh Railway Station where a tour of Chandigarh and a visit to the Rock Garden has been included. 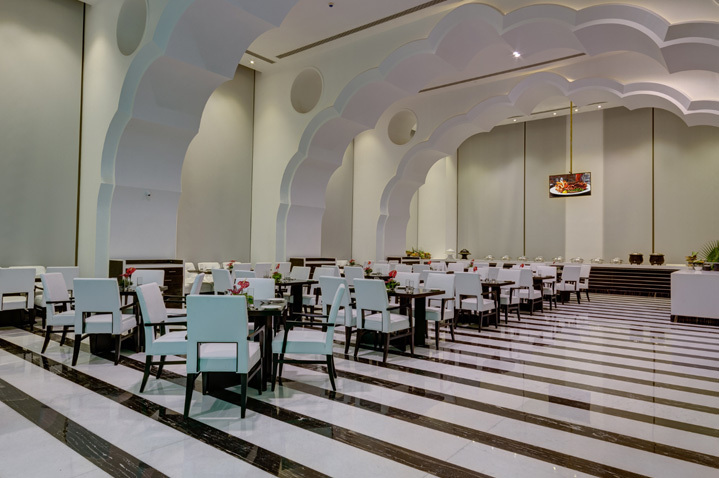 You will enjoy a meal in a local restaurant before transferring to the train station to board the Shatabdi Express for your return journey back to Delhi. 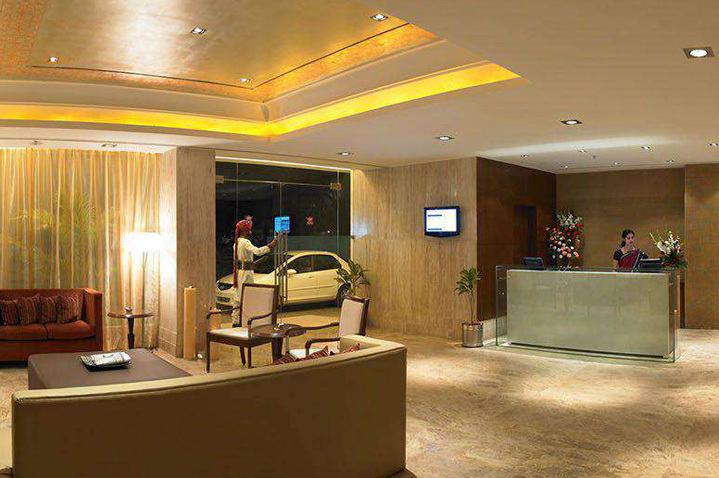 Upon arrival, transfer to your hotel for an overnight stay. Extend your India holiday with a four-night stay in Shimla, in the foothills of the Himalayas. Your journey will be made by train, firstly the Shatabdi Express to Kalka, continuing by narrow gauge train to Shimla. During your journey your train climbs to more than 6,000 feet, giving you the chance to enjoy spectacular views. As well as time to relax and do your own thing during your stay, we also include a tour of Shimla with highlights such as the Tara Devi Temple and the Vice Regal Lodge. Before your return rail journey to Delhi, we also include a tour of Chandigarh and a visit to the Rock Garden. 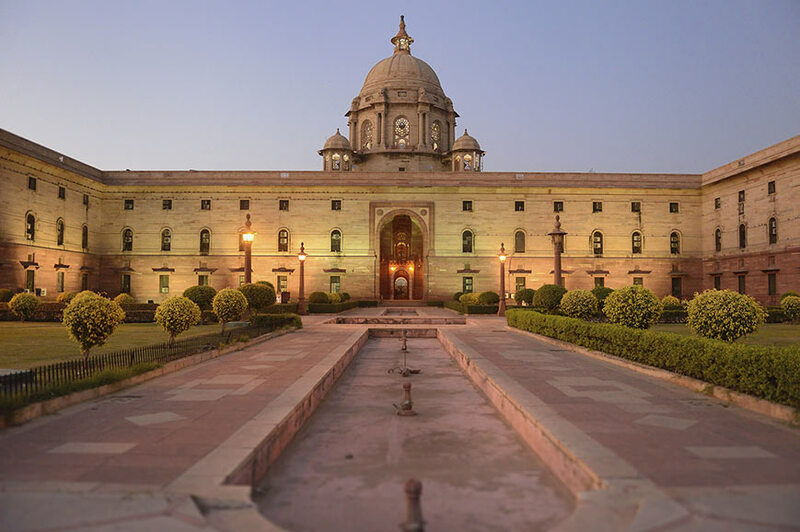 You'll stay overnight in Delhi before your flight back to the UK. A Tour Manager will accompany you on this add-on.